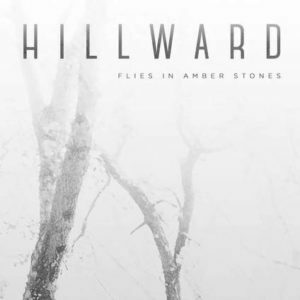 Hillward is a Canadian progressive metal band with a depressive rock vibe that sounds similar to contemporary artists like Anathema or Katatonia. The project consists of members from the great progressive metal band Southern Cross, which included more power metal elements in its sound. That band is currently on hold, but a new record is due to come out next year. The cover art of this band’s debut full length release gives you a perfect idea of the kind of sound to expect from this album. All ten tracks have a somewhat psychedelic, numbing, and depressive feeling to them, and are rather slow or played at mid-tempo. Dreamy guitar riffs are supported by a mostly smooth rhythm section, appeasing melodic vocals, and electronic lounge sounds here and there. This is the kind of record that should be listened to as a whole because it takes the listener on an epic journey. On the other hand, this type of music isn’t always easy to digest due to its particular atmosphere and should only be enjoyed in small doses. The most outstanding tracks are probably the brilliant opener and title track ”Flies in Amber Stones”. From the first second on, it has the band’s charismatic dreamy, depressive, and grandiose atmosphere, but also delivers the heaviest riff on the album along with a few vivid electronic elements. This is probably the band’s most accessible track for progressive rock and metal fans. ”Entropy” and ”Quantify the Abstract” are two great instrumental tunes. The former has a focus on electronics, with a hypnotizing vibe, while the latter is much heavier and features a diversified guitar performance and the heaviest use of the rhythm section. The longest tune on the album is also the most epic one, in form of the diverse ”When It All Comes True”. This song has an old-school space rock vibe from the seventies that invites the listeners to relax and dream themselves far away. A last track to point out would be ”Walls of Apathy”. Among many introspective tunes, this track can still be described as the ballad of the album. Just as the title suggests, it has understated, apathic instrumental work, but still manages to grab you emotionally in the second half when soothing male vocals intertwine with charismatic and dreamy female guest vocals. The two singers have a really great chemistry and I would definitely like to hear more collaborations between them. This track is a true hidden gem on a very unique, soulful, and profound album. In the end, this overlooked French Canadian progressive rock/metal act creates a very beautiful debut output with a lot of depth, emotion, and soul. It sounds as if it came from a more experienced, mature band that knew precisely what it wanted. Fans of rock music with a calmer, spacier, and melancholy note will really dig Flies in Amber Stones.